In our previous episode, we looked at a study that explored the links between jobs and family structure. The findings were surprising and, frankly, a little bit depressing. It turns out that the fracking boom, which has provided a lot of good jobs for less-educated men, also led to a mini-baby boom. As economics would predict. People tend to have more kids when their financial circumstances are solid. But economics would also predict that when people’s financial circumstances improve, they’re more likely to form families – not just have babies. But that did not happen. About 40 percent of the babies born in the U.S. these days are born to unmarried mothers – a huge increase over the past few decades. Coming into the fracking study, the researchers had suspected, and hoped, that good jobs would lead to more stable families. It didn’t. Stephen J. DUBNER: Let’s start. If you would just say your name and what you do. Gregory BOYLE: I’m Greg Boyle. I’m a Jesuit priest and I’m the founder and executive director of Homeboy Industries, which is the largest gang-intervention, rehab re-entry program on the planet. Father Boyle and Homeboy Industries are kind of legendary; they’ve been celebrated over the years. BOYLE in a clip from 60 minutes: There is no place on the planet Earth where more gang members show up — to redirect their lives, to get some help, to begin all over again. BOYLE: … When I was pastor of a very poor parish and we had eight gangs at war with each other. BOYLE: I’m going to bury a guy who was killed in a high-speed chase on Saturday. That would be my 218th gang member that I’ve had to bury. But it’s nothing like the bad old days when I’d have eight funerals in a three-week period. BOYLE: So we have a bakery, several restaurants, a farmer’s market. But then we have programs alongside like tattoo removal, anger management, and jobs program trying to find felony-friendly employers to employ enemies working side-by-side with each other. Boyle preaches what he calls “boundless compassion.” And by that measure, Homeboy Industries would seem to be a raging success. How concerned is he with more traditional outcomes? BOYLE: If you’re driven by outcomes you’re going to only work with a population that will give you good ones. We’re going to work with the most belligerent, difficult, hardheaded, as long as they walk through the door. Okay, but, big question: how well does a program like this really work? BOYLE: Somebody might say to me, “Well, how do you know that it works?” I would say again, no place on the planet earth has more gang members who walk through the door trying to get help. The reason I say that is, no gang member would walk through the door if this place didn’t help, if it didn’t somehow work! BOYLE: No gang member would walk through the door if this place didn’t help, if it didn’t somehow work! Brandon WELSH: The program grafted scientific methods onto a social-action program. Denise GOTTFREDSON: That study is one of the bedrock studies in the prevention of crime. It was very innovative at the time. Geoffrey SAYRE-McCORD: It was like a mystery. You’re trying to track people down, and every time you found someone, it felt like a little treasure hunt. GOTTFREDSON: People just assume that if you do something that sounds good, that it’s going to have positive effects. But it’s actually more complicated than that. WELSH: Without exaggeration, it is still shocking to this day. Long before Father Greg Boyle and Homeboy Industries, and all the others like them, there was a civic-minded Harvard physician named Richard Clarke Cabot. WELSH: Richard Clarke Cabot was just a fascinating character. That’s Brandon Welsh, a criminologist at Northeastern University. SAYRE-McCORD: Richard Cabot was a philanthropist, a doctor, very much committed to helping people and committed to figuring out what methods really worked. And that’s Geoff Sayre-McCord, a philosophy professor at the University of North Carolina, Chapel Hill. SAYRE-McCORD: He was quite revolutionary in thinking we ought to be taking the same care when we intervene with people’s lives as we do when we intervene with their bodies. During the Great Depression, Cabot commissioned what came to be known as the Cambridge-Somerville Youth Study. WELSH: One of the unique features of this study, that was initiated back in the ‘30s, was to be a prospective longitudinal survey. The purpose of which was … what? WELSH: He wanted it to be tested over a very lengthy period of time, something that by today’s standards is unheard of. The study would last so long that, technically, it’s still going on today — and Brandon Welsh is now its director. WELSH: Yes. It’s now been recognized as the first randomized experiment of a social program. There had been a few earlier experiments in education but nothing like this in social work or crime-prevention. What drove Cabot? WELSH: He was appalled by the recidivism rate from the Boston juvenile court. He really saw that there was a need to move outside of the treatment regime, outside of attending, to after the fact. He really coined this view of prevention in the first instance. SAYRE-McCORD: And he was quite convinced, but didn’t have the evidence to support his being convinced, that what we now call mentoring was effective. Geoff Sayre-McCord, as you’ll hear later on, also has an intimate connection to the Cambridge-Somerville Youth Study — through his late mother, who was a criminologist. Anyway: Dr. Cabot’s idea was that boys and young men headed for trouble could benefit from some mentoring. SAYRE-McCORD: Hoping to get evidence that mentoring would be helpful, he went to Cambridge and Somerville, at the time very poor neighborhoods. He identified roughly 250 at risk kids — talking to preachers, teachers and parents — which kids seemed to be having trouble. And then he also identified 250 kids who seemed to be doing well. SAYRE-McCORD: Basically, information about who they were was recorded but there was no intervention with them. WELSH: The boys were first matched. There were diagnostic pairs. SAYRE-McCORD: Maybe he would match you and I because we lived in the same neighborhood, we came from families that were the same size and had the same income. Then he flips a coin and randomly assigns one person from each of the matched pairs to a control group … and then in the treatment group are their matched partners. DUBNER: Okay… So the control group is either a kid doing well or a kid not doing well, matched with the opposite. One goes in control, one goes in treatment, is that right so far? WELSH: The counselors would meet every couple of weeks with the boys, interact with them, help them with homework, take them to the YMCA. During the summer months, some of the treatment-group boys were able to go to summer camps and so were sent out of the city. SAYRE-McCORD: It was Big Brother Big Sister. It was the mentoring that’s still celebrated. WELSH: It lasted from 1939 to 1945. SAYRE-McCORD: What you had at the end of the Cabot study was this voluminous set of records. Here’s this treasure trove of data — with controls! That’s almost non-existent in social interventions, that you have data on a control. Okay, so why is this important? Because whenever you’re trying to establish cause and effect, in anything — whether it’s a chemical reaction or something like this, a mentorship program for at-risk young men — you need to be able to isolate the inputs and reliably measure the outputs. That’s a lot easier to do in chemistry than it is with something as complicated as people’s lives. Which is why a lot of the ideas you hear about in a field like criminology tend to be more theoretical than empirical. GOTTFREDSON: So when I started in this field, there were thirteen different ideas about how to prevent delinquency, and very little empirical research on any of them. GOTTFREDSON: And I’m a professor in the Department of Criminology and Criminal Justice at the University of Maryland. When Gottfredson started out in the field, even something as basic as good measurement was elusive. GOTTFREDSON: It was, for example, quite difficult to study schools, because we didn’t have the instruments to measure things, and we just didn’t have the technology to measure a lot of different schools in the same way. So it was heartening to learn about the Cambridge-Somerville Youth Study. GOTTFREDSON: That study is one of the bedrock studies in the prevention of crime. All students learn about it. It was very innovative at the time. Joan McCord’s work to follow up those 500 youth was just — a study like that was very rare in those days. Okay — so Joan McCord was a young criminologist a couple generations before Gottfredson. Here’s McCord on tape from 1996. Joan McCORD in a clip from the American Society of Criminology: During the period of the 1950s, when I was a graduate student, I had walked into a room that was filled with records. This was while I was Eleanor Maccoby’s research assistant. 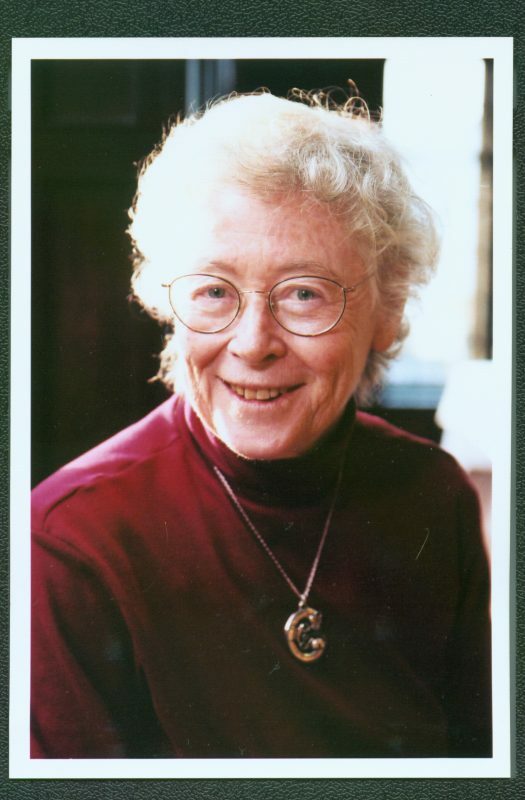 Eleanor Maccoby was a renowned psychologist, at Harvard and then Stanford, who worked on child development. McCORD: Eleanor Maccoby’s study was asking mothers to report on how they treated their children and how their children behaved. The minute you hear that, you probably think — wait a minute: asking someone about their behavior isn’t the best way to measure behavior, is it? That’s exactly what Joan McCord was thinking as she was coding the survey responses. McCORD:… And I was coding those, and thought that it was a shame to believe what mothers had to say about what they did, when you can’t be objective about your own behavior. So when Joan McCord heard about the Cambridge-Somerville Youth Study, launched more than a decade earlier, she got excited. Because it had been set up to avoid a lot of the typical problems in social-science research. First of all, it was a bona fide randomized controlled trial, which meant you could isolate the effects of the intervention. And, it also afforded the opportunity to look at long-term effects using objective measurements. For instance, did the kids who got mentorship tend to stay out of trouble and get better jobs? Were they less likely to abuse drugs and alcohol? It would take a lot of work, but McCord knew those questions were answerable. McCORD: So I applied for a grant as a graduate student. McCord got the grant. In fact she’d go on to become director of the Cambridge-Somerville Youth Study, as Brandon Welsh is today. Along the way, she taught at Drexel and Temple Universities, and in 1988 became the first female president of the American Society of Criminology. But back in the 1950s, when she began to look into the Cambridge-Somerville data, she wasn’t even the first scholar to do such an analysis. WELSH: That first one took place in 1948. WELSH: The boys were in their early 20s on average and the findings were a resounding null effect or they didn’t detect any differences in delinquency, offending between the treatment and control groups. DUBNER: That must have been a little bit surprising and disappointing, correct? WELSH: Indeed. It was quite surprising. Now, in the late 1950s, Joan McCord comes along, working in partnership with her then-husband, who was a sociologist. WELSH: These boys were now men embarking on careers, some already engaged in careers. There was this opportunity to examine 1) was the program effective? Could it could even be a sleeper effect? And then 2) as part of the longer follow-up phase of the research. DUBNER: And so, in the ‘50s, the McCords found what? WELSH: Similar findings. They found a null effect. They found there were no differences between the treatment and control boys on offending. SAYRE-McCORD: Computers came on the scene and my mom was really keen to exploit that new resource. [She] had the mathematical ability and the empirical commitment to learn the programming and run the data. SAYRE-McCORD: She thought once you had that resource you’d be able to uncover the positive effects she was convinced would be there. WELSH: These boys were now in their mid-40s. SAYRE-McCORD: She saw a great opportunity to follow-up on the inspired commitment to doing social science as a controlled study. And it was in the grip of that that when I got to college, I volunteered as a mentor, as a Big Brother. DUBNER: You were inspired by this idea, inspired by this program? SAYRE-McCORD: Oh yeah, and I loved doing it. I love hanging out with kids. And I knew his mother who worked at the college I went to. He was 10 or 12. He was right in that age, and his father had been in jail. It was mostly tutoring, hanging out and playing soccer. At the same time, I was involved in trying to track down people when my mom started doing a follow-up of this. That’s right. Joan McCord had enlisted her son to help track down the men who, nearly 30 years earlier, had been boys in the Cambridge-Somerville Youth Study. It was now the 1970s. Richard PARENTE: The world was very different back then: no internet, no cell phones, et cetera. That’s Richard Parente, McCord’s research assistant at the time. He was also helping track down these men. PARENTE: So we really had to rely on physical telephone books, searches of official government records that Dr. McCord had gained access to, such as the Bureau of Vital Statistics in Massachusetts. SAYRE-McCORD: And it was like a mystery. You’re trying to track people down, and every time you found someone, it felt like a little treasure hunt. She found 98 percent of the people from the study. DUBNER: It boggles the mind to think either how hard she worked or how lucky she got or some combination of both. Can you explain how that number, 98, is so high? WELSH: It is quite astonishing. A couple of factors were working in her favor: the first one was that about 80 percent of the participants still resided in Massachusetts at roughly age 45. PARENTE: They were the easier ones to find. DUBNER: Probably low income is correlated with low mobility? WELSH: Very much so. Another important part was that Joan began or continued this meticulous record-keeping; the last known address, the last known phone number of these participants. She had started to build in what we would call today a database. SAYRE-McCORD: She was a compulsive note taker. DUBNER: In other words, before Google, there was your mom. SAYRE-McCORD: That’s exactly right. I love that way of thinking about it. WELSH: She was meticulous. She was dogged. PARENTE: Then I had a hunch that, “Maybe I’ll try looking at the motor vehicle records for the state of Massachusetts.” I found a record of this guy in Massachusetts that was recent. And by luck, one of the numbers I had, I called, and somebody else I hadn’t spoken to answered the phone this time. This person told me that the guy wasn’t dead. In fact, he was still in Cambridge. I actually interviewed him in a bar. He basically said that his family had disowned him when he went into prison and they consider him dead. PARENTE: And a lot of them made unsolicited-type comments, like, “If it hadn’t been for those guys, I would have never been as good a person.” Or, “I would’ve gone to prison.” All kinds of different positive things they attributed back to their counselors and their experience. In addition to the interviews, McCord also went after lots of other data on the subjects. SAYRE-McCORD: She got access to all sorts of amazing records. There were a bunch of measures, seven in particular that are worth mentioning: death records, criminal records, mental health and health records, alcoholism, job satisfaction, and marital satisfaction. DUBNER: Couldn’t get that data today, presumably — unless you hack into an insurance database, maybe. SAYRE-McCORD: Exactly. It’s available, just not legally, I’m sure. DUBNER: What was her level of enthusiasm at this point, when she realizes that she can actually make a comparison and make a measurement about how the treatment worked? SAYRE-McCORD: She was clearly animated by the thought that if you can find the causes, you’re in a better position to find treatments. The vindication of your work is to do that. That’s what excited her. Coming up on Freakonomics Radio: So, what did McCord and her intrepid team finally find? McCORD in a clip from the American Society of Criminology: It was so surprising that I began from scratch a second time. GOTTFREDSON: That study did provide a big wake-up call to the field. 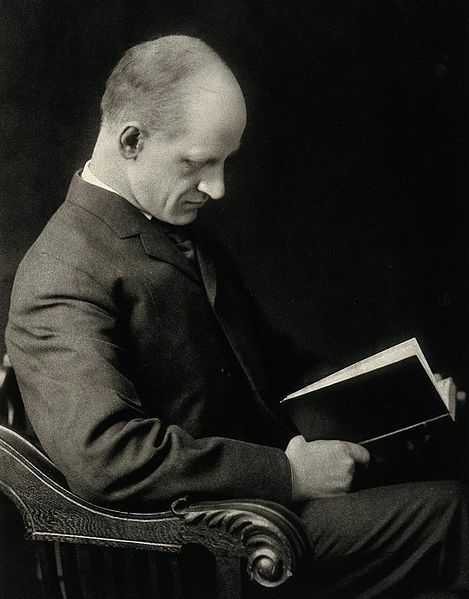 Richard Clarke Cabot, the Harvard doctor and philosopher who set up the Cambridge-Somerville Youth Study, died in 1939. So he never got to learn whether his program actually helped the boys it was designed to help. But now, decades later, the criminologist Joan McCord had an opportunity to rigorously measure the outcomes. SAYRE-McCORD: In the seventies, all of sudden universities had these buildings full of giant mainframe computers. You had access to them and you could run data in ways that you just could never have done before. That’s her son, Geoff Sayre-McCord. SAYRE-McCORD: I do remember, vividly, her running the data and coming home at the time with these huge stacks — and she’d go in with these boxes of punch cards, run them and always be excitedly waiting for the output. DUBNER: Then she found what? SAYRE-McCORD: On all seven measures — we’re talking, how long did you live? Were you a criminal? Were you mentally healthy, physically healthy, alcoholic, satisfied with your job; satisfied with your marriage? On all seven measures, the treatment group did statistically, significantly worse off than the control group. SAYRE-McCORD: I should emphasize that there also seemed to be what’s called a dose effect — the longer the intervention, the more likely the damage would be done. That’s Joan McCord from a 1996 interview. DUBNER: Wow, that’s just an amazingly interesting and heartbreaking result. What was your response? Your mom was your intellectual hero. You were a mentor, yourself, in part because of her first of all. Let’s start with that. What did you do as a mentor to that kid? SAYRE-McCORD: I stopped being a mentor. SAYRE-McCORD: No. It was complicated. She told me the results. She knew I was serving as a mentor and that I was enjoying it. And she basically gave me all the reason to think that to the extent I was doing this to help someone, I shouldn’t think I am. SAYRE-McCORD: I became convinced that there was a moral objection to continuing to do what I was doing. Then, the challenge was to handle it as gracefully, considerately as possible. DUBNER: Because I’m guessing the kid didn’t know. You put yourself in his life as a friend? Is that the way it works? SAYRE-McCORD: Exactly, yeah. I had to rely on my explanation to the kid of why I was not around anymore on an appeal to all the work that I was then facing. SAYRE-McCORD: Yeah. “I’ve loved it. You’ve been a real pleasure. I’ve had a great time with you.” I don’t want to blithely act as if, “That was an easy decision.” It was not easy. That argument did weigh heavily, and it’s nothing like the poke in the eye of a social worker who’s spent 30 years in social work. WELSH: Certainly, in the wider sphere of people running social programs — not necessarily just in the social work community — found this as a major affront and were seriously concerned about the ramifications, in particular for funding. Front page of The Boston Globe, Science. And then smaller newspapers throughout Pennsylvania, with her being at Drexel at the time. SAYRE-McCORD: The other response, which really took my mom up short, were people who thought that it was that social interventions were a mistake because you couldn’t change things. Or people who thought social interventions were a mistake because they weren’t worth the money. DUBNER: In 2017, imagine that a study like this comes out and nothing like it had ever come out before. And it basically says, “You know what? These nice, thoughtful — and by the way, expensive — social programs that are meant to decrease juvenile delinquency backfire and the people who get the treatment actually do worse.” Can you just imagine in the political climate we’re in now, how that would be received? WELSH: Oh indeed. It would provide a great deal of ammunition for those who were hell-bent on withdrawing funds or delimiting such social programs. Kevin PRICE in a clip from The Price of Business: Ten top examples of wasteful federal spending in 2012? David MUHLHAUSEN in a clip from The Price of Business: One of the biggest programs is Headstart — 1960s, Great Society Program — that the Left loves to say helps kids. [The] program has basically no effect on helping kids who are disadvantaged. PRICE in a clip from The Price of Business: Obviously, this validates the concerns of the Founders, that the best government is the government closest to individuals. It makes a great case that the government should get out of the businesses on a federal level. SAYRE-McCORD: When I talk to people about this study, I remind them of thalidomide, which was a magnificent drug for curing morning sickness. It was only when you step back and you got the data, that you’d see that thalidomide puts fetuses tremendously at risk for very serious birth defects. DUBNER: Although on the other hand to extend your thalidomide argument, there are now all kinds of legitimate benefits, beneficial uses of thalidomide. DUBNER: Let’s talk about the really important thing. What the heck happened? Why did it backfire? SAYRE-McCORD: There are several hypotheses. WELSH: One hypothesis that she found support for was this idea of pure contagion or a deviancy training that was associated with the summer camps. So there were upwards of 60, 70 or so of the boys who participated in multiple years of the summer camps. GOTTFREDSON: Deviancy training is when deviant behaviors are encouraged by other high-risk youths present, kids that are probably already engaged in deviant lifestyles to some extent. That’s Denise Gottfredson, the University of Maryland criminologist. GOTTFREDSON: For example, in the context of a small group counseling session, one youth might be telling a story of how he or she used drugs and broke into a house or something like that. Other kids may respond to that by smiling, by laughing, by acting in an encouraging manner, rather than disapproving of the activity. And so it’s just a normal process of conversation that occurs, but the research shows that it actually is related to an increase in those behaviors in the future. DUBNER: It sounds like the worst thing you could do for at risk or in-trouble kids is put them in group therapy. GOTTFREDSON: Well, it’s a little bit more nuanced than that. The degree of structure or programming involved in the intervention is important. If high-risk kids are brought together in a relatively unstructured setting, where basically they’re given free rein to talk about whatever they want to talk about, and react however they want to react, that’s the setting that encourages deviancy training. But on the other hand, if the adult is clearly in charge and keeps the focus on whatever they’re doing, rather than just letting it range — that intervention seems to work. GOTTFREDSON: Exactly. Summer camp would be a very good example of it, and after-school programs are another. WELSH: Joan demonstrated that those boys who participated in more than one summer camp they had a heightened level of criminal offending even relative to those who participated in just one year. This is where we saw that dose-response relationship. DUBNER: Do you buy that as the primary or a primary reason for why that seemingly beneficial intervention turned out to backfire? GOTTFREDSON: I do buy it. Clearly, we need better research. But it is theoretically very consistent with what we know about the causes of delinquency. The very biggest correlate of delinquent behavior is peer delinquency. SAYRE-McCORD: Another theory has a lot of traction to it: that the kids in the program developed a dependence, or a sense of need, so that when the program ended they felt like something they needed wasn’t there or something they valued wasn’t there. What happened was people got a mentor and then at a certain point, they lost the mentor. DUBNER: Is the deeper part of that theory that these kids are given expectations via osmosis: their mentors have these solid jobs, maybe a solid family etc. Then, once they are cut off from the mentor, they find that they can’t get that stuff on their own. Is that the connection to how it might have broken down? SAYRE-McCORD: Well, that I would put under a third hypothesis theory, and this was really my mom’s favorite theory, though she died before she could test it. But her suspicion was that part of what was happening was fairly privileged mentors, who had values and expectations that well suited their opportunities transferred — not really intentionally, but by osmosis or by modeling or by conversation — those values and expectations to the kids. Part of why my mom thinks this is an important hypothesis is she thinks psychology and sociology in general pays too little attention to what explains how people make the decisions they do, why they take certain considerations as reasons and not others. She thinks that process of teaching people what to consider, a reason or a value or a goal, is deeply important to explaining behavior. DUBNER: Let me ask you just a little bit more about the potential explanations. Did the kids in the control group know about the treatment group kids getting counseling and treatment? SAYRE-McCORD: That’s a fascinating question. DUBNER: The reason I’m asking is we’re talking about the treatment group going in one direction, but it could be that it was really more like the control group went in the other direction. If you learn that some of the kids are getting all this stuff: they’re getting this guy to come and teach him to drive, and they’re getting sent to summer camp. And you don’t get any of that. I’m just wondering if possibly that, either through envy or hurt, might have proved a kick in the pants to propel oneself into the future that one wants and realizes, “Hey, the only way I’m going to get that future is me. I don’t have that help.” Whereas the people who got the help maybe became too reliant on the help and couldn’t make it happen for themselves. That’s my crazy theory. SAYRE-McCORD: I really don’t know. It’s a nice complement to the dependency theory. It’s not something that I know of any evidence concerning. I don’t know how visible it was to the kids in the control that they were even in the control because they are just identified demographically. I’m not sure how visible the treatment was to other kids. DUBNER: On the other hand, Somerville and Cambridge are not so large that you wouldn’t hear about the other kids who are getting this. What’s the story? You know Jimmy’s got this guy coming over teaching him to drive and so-and-so’s getting this thing. SAYRE-McCORD: That’s absolutely right. It’s a fascinating possibility. There is, of course, a lot that remains unknown, and unknowable, especially when it comes to something as complex as human behavior and what leads any of us to make a productive choice versus a destructive choice. The important thing, at least as I see it, is to keep assembling empirical evidence. And to use that evidence — rather than relying on gut hunches or ideology or simply good intentions — to try to move the needle. In that regard, the criminologists we’ve been talking to today say they’ve learned a lot over the past few decades, especially about preventing delinquency. GOTTFREDSON: Well, it’s like night and day. Now there are hundreds and hundreds of very high-quality studies covering a wide range of different strategies: everything ranging from, discipline strategies like placing police in schools, all the way to trying to change the social climate in schools, to make schools more likable and to increase the attachment that kids feel toward school. WELSH: We now know that far more programs of a punitive nature have backfired. Scared Straight or boot camps have failed miserably, whereby those boys who received the program would have been better off getting nothing. GOTTFREDSON: Some of the things that the evidence suggests do work are efforts to teach kids social competency skills and self-control skills. A lot of kids learn these skills just as a matter of course in growing up. They learn how to control their impulses; they learn how to regulate their emotions. Tony DIVITTORIO in a clip from a Freakonomics Radio episode: Letter B partner, you have thirty seconds to open up letter A’s fist. But hang on, let me give you the rules. GOTTFREDSON: Over the years we’ve developed different models for teaching those skills to kids. But they all have in common this focus on teaching kids to recognize their emotions, to slow down, to think more carefully about the potential consequences of different actions they might take. WELSH: I will say that the economic value that is demonstrated through the small number of benefit-cost analyses also is beginning to show on a much larger front. GOTTFREDSON: When you compare the cost to society of jails and prisons, even the most costly of these programs is a money-saver. So now there’s a second layer of activity that’s aimed at just summarizing what the research says to practitioners. There are lots of different groups that just comb through all of the research and try to make judgments about the quality of the research underlying each of these strategies, and then puts it out there for laypeople to have access to. WELSH: Another major legacy of the Cambridge-Somerville Youth Study pertains to the longitudinal perspective nature of it. We are able to talk in a much more precision because of the studies that have been undertaken and in the long-term follow-ups as well. GOTTFREDSON: Joan McCord was always a proponent of using evidence to make decisions, and the Cambridge-Somerville Study was the main basis. That study did provide a big wakeup call to the field that it was really necessary to study things. We can’t just assume that they work. WELSH: The one takeaway might be that delinquency prevention, for all its benefits, is by no means a panacea. We need to be equally careful in how we mete out prevention resources, as we mete out treatment resources or intervention resources. The best of intentions can sometimes backfire. DUBNER: I have to say, you’d have to call it the irony or at least the paradox that Cabot was driven by a very sensible revulsion to this high recidivism rate and ultimately, instead of addressing the problem, actually contributed to it. Can you talk for a minute about how you, as a researcher, dealt with that irony or paradox? WELSH: I mean, you’re right. This is the violation of his oath, “First, do no harm.” He could never have foreseen this when he was acting on the best of intentions. As a researcher, it’s really quite difficult. I know this was certainly part of Joan McCord’s difficulty in talking about this. SAYRE-McCORD: Her first response was to be crestfallen finding that it had hurt people in measurable ways. She had had so much hope for this intervention paying off. That, again, is Geoff Sayre-McCord, Joan McCord’s son. SAYRE-McCORD: But her main view on it was that what the study shows is we can have an impact on people’s lives and that we don’t yet know how to have a good impact. That that’s a reason to put money into finding out what makes the difference. DUBNER: That’s a great point. We did something that we thought would work. It didn’t work. It produced a backward result but obviously we can influence behavior. We can influence outcomes. We just need to find the right levers. SAYRE-McCORD: She saw this as very strong evidence for support of research in the hope of making people’s lives better. But [also a] recognition that we don’t really yet know how to do that, despite excessive confidence. DUBNER: Let me ask you this. This is a personal question, in a way, that I hadn’t intended on asking: do you think that was your mom’s takeaway in part to soften the blow of the fact that the evidence was so disheartening? SAYRE-McCORD: That is a very interesting question. My mom was extraordinarily good at avoiding wishful thinking. She didn’t — for the sake of her values, ideals, or concerns — change her belief. She was perennially aware of the appropriateness of intellectual modesty. She thought the skeptics who emphasized how little we know were right to do it. What her dying words to me were … On her deathbed, she had been for her life an agnostic. Didn’t believe in God. She said, “This could be interesting.” She didn’t think there was a god, but if there was then there was more interesting things to come. It’s basically the way she led her life. She was always open to arguments and evidence. Always. She would change her view in light of them even if she couldn’t always change how she felt. DUBNER: How many times in the last month have you picked up marbles with your toes? Howard OSTERMAN: That would be a zero. DUBNER: What animals have you put in shoes? Daniel LIEBERMAN: We put sheep in shoes actually. DUBNER: Have you ever had people come to you who want their foot surgically altered so that they will fit the fashionable shoes they want to wear better? Irene DAVIS: The foot is an amazing structure that is highly underappreciated. “These shoes are killing me.” That’s next time, on Freakonomics Radio. Freakonomics Radio is produced by WNYC Studios and Dubner Productions. This episode was produced by Stephanie Tam, with help from Eliza Lambert. Our staff also includes Shelley Lewis, Merritt Jacob, Greg Rosalsky, Alison Hockenberry, Emma Morgenstern, Harry Huggins and Brian Gutierrez; we had help this week from Sam Bair. The music you hear throughout the episode was composed by Luis Guerra. Special thanks to our intern Kent McDonald, Radiolab producer Latif Nasser, the Centre for Effective Altruism, and the American Society of Criminology. You can subscribe to Freakonomics Radio on Apple Podcasts, Stitcher, or wherever you get your podcasts. You can also find us on Twitter, Facebook, or via e-mail at radio@freakonomics.com. Gregory Boyle, reverend and founder of Homeboy Industries. Denise Gottfredson, professor of criminology and criminal justice at the University of Maryland. Richard Parente, retired software executive. Geoffrey Sayre-McCord, professor of philosophy at The University of North Carolina at Chapel Hill. Brandon Welsh, professor of criminology and criminal justice at Northeastern University. “Benefit-Cost Analysis of Crime Prevention Programs,” Brandon Welsh, David Farrington and Raffan Gowar (September, 2015). “Can Prevention Work Where it is Needed Most?” Denise Gottfredson, Gary Gottfredson and Stacy Skroban (June 1, 1998). “The Cambridge-Somerville Study: A Pioneering Longitudinal Experimental Study of Delinquency Prevention,” Joan McCord (January, 1992). Crime and Family: Selected Essays of Joan McCord by Joan McCord and Geoffrey Sayre-McCord (Temple University Press, 2007). “Crime Prevention: A Cautionary Tale,” Joan McCord (July, 2001). “Deviancy Training: Understanding How Preventive Interventions Harm,” Denise Gottfredson (July 8, 2010). “Examining the Iatrogenic Effects of the Cambridge-Somerville Youth Study: Existing Explanations and New Appraisals,” Steven Zane, Brandon Welsh, Gregory Zimmerman (June 14, 2015). “An Experiment in Prevention of Delinquency: The Cambridge-Somerville Youth Study,” Edwin Powers and Helen Witmer (January, 1951). “A Follow-Up Report on the Cambridge-Somerville Youth Study,” Joan McCord and William McCord (March, 1959). “A Long-Term Study of Children: the Cambridge-Somerville Youth Study,” P.S. deQ. Cabot (1940). One Thousand Juvenile Delinquents: Their Treatment by Court and Clinic, Sheldon Glueck and Eleanor Glueck (Harvard University Press, 1934). Preventing Antisocial Behavior: Interventions from Birth through Adolescence by Joan McCord and Richard Tremblay (Guilford Press, 1992). “Prevention Research in Schools: Past, Present and Future,” Denise Gottfredson (February 8, 2017). Schools and Delinquency by Denise Gottfredson (Cambridge University Press, 2001). “Structure and Deviancy Training in After-School Programs,” Melissa Rorie, Denise Gottfredson, Amanda Cross, Denise Wilson and Nadine Connell (August, 2011). Tattoos on the Heart by Gregory Boyle (Free Press, 2011). “A Thirty-Year Follow-up of Treatment Effects,” Joan McCord (March, 1978). “When Crime Prevention Harms: a Review of Systematic Reviews,” Brandon Welsh and Michael Rocque (January 21, 2014). “When Interventions Harm. Peer Groups and Problem Behavior,” Thomas Dishion, Joan McCord and Francois Poulin (September, 1999). 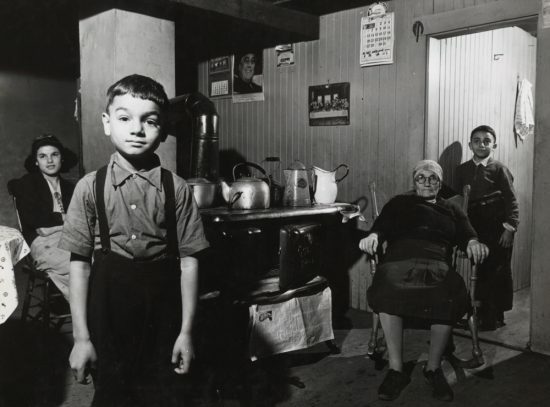 “Who Cares About a Delinquency Prevention Experiment of Boston Boys Born in the 1920s and 1930s? The Need for Long-Term Follow-Ups in Criminology,” Brandon Welsh and Gregory Zimmerman (November 27, 2015). “The Fracking Boom, a Baby Food, and the Retreat From Marriage,” Freakonomics Radio (2017). The Abdul Latif Jameel Poverty Action Lab. “Preventing Crime for Pennies on the Dollar,” Freakonomics Radio (2015).